Pakistan weather events during 2011! 2011 was a very busy year for Pakistan whether it was politically or economically, the country made headlines in the international world almost every month but when we talk about climate then Pakistan saw some of its most weird weather phenomenons in history. So you thought that 2010 was the worst year for Pakistan interms of weather well you were wrong because a total of five abnormal weather occurred in the country. 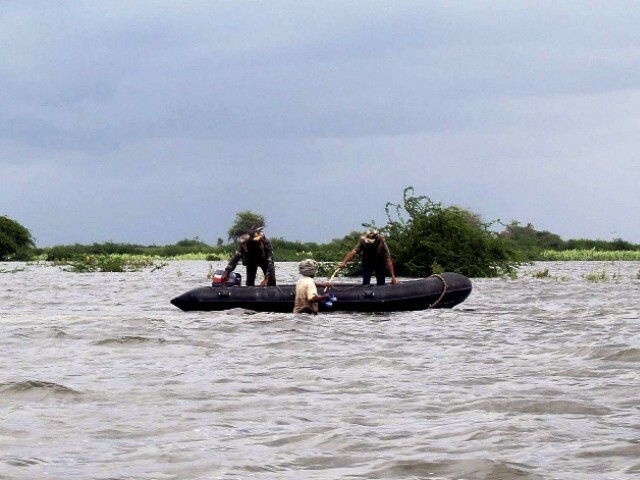 It was the first article of Pakistan Weather Portal (PWP) that was made on March 6 anyways the Balochistan province was battered by a strong western disturbance that created isolated flash flooding in the central and northern parts of the province. The strong western disturbance entered the country on February 28 and completly entered India on March 5. 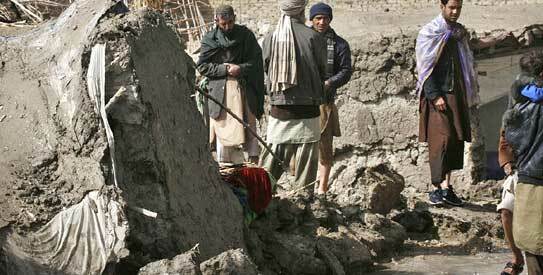 A total of three people lost their lives while 100 – 200 Balochis were made homeless. The floods were not highlighted in the Pakistani media. February – Snowfall in Lahore? Lahoris did not need to go any hill station because nature brought snow to their city, Well it was not a snow, it was a hailstorm. The hailstorm was the most longest as well as the most intense in 35 years in the city. The most astonishing thing was that the sun was out in some parts of the city. Some Lahoris were frightened to see the whitening of the city and started reciting verses from the Holy Quran and rushed to mosques to offer their prayers. Amazed? 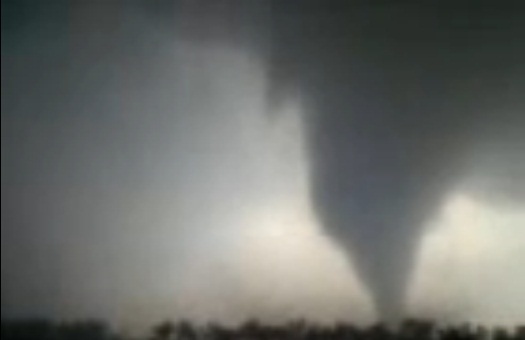 March – Tornado of Sialkot: The Kala Jinn! If you thought that only Lahore can get weird weather then you are mistaken because the people of Sialkot also enjoyed a rare weather event of their own. It was F-2 tornado on the Fujita scale, it must be noted that tornado lasted for 30 minutes. The storm started to develop at 1 pm and dissipated at 5 pm on March 19. The good news was that nobody died and life continued in the villages the other day however the locals called it the “Kala Jinn”. 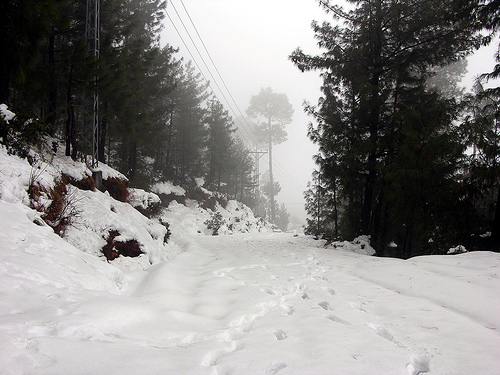 April – Summer snowfall in Murree! 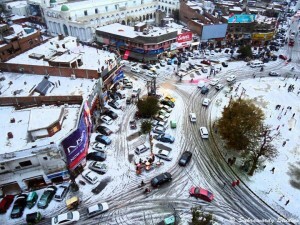 Roads of Murree covered with thick snow! At this point we were amazed to see such frequent rare weather events in Punjab. Back to Back weird weather phenomenons started approaching with almost every incoming western disturbance. On April 4, beautiful day of colourful spring, was whitened by a snow, last time a snowfall in April occurred in Murree was 1976, last 35 years. The snowfall activity ends from early March to mid-March in Pakistan but if these cool western system enter the country after mid-March then hail storm occurs but no snowfall due to temperature variation in the atmosphere. History books should be re-written again as on May 21, 2011, Karachi experienced one of the hottest days in years when temperature soared to 46°C as reported by the National Department. Last time temperatures touched this much was May 22, 1981. Karachiites witnessed the sky to change from deep blue to a dust-like sky. Dry winds coming from Balochistan gave an unusual feeling to the city in May. 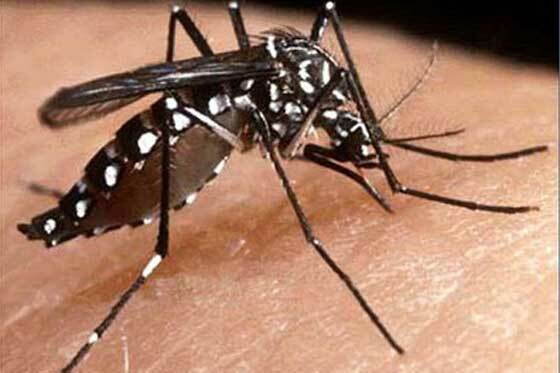 The infamous dengue outbreak was a result of early heavy monsoon rainfall in the province, the rainfall left ponds of water in many areas that became a breeding ground for Mosquitoes. More than 4,000 cases of dengue fever were reported in the past in the month of July and August, with 30+ deaths. Lahore, the capital of Lahore was the worst affect if them all. 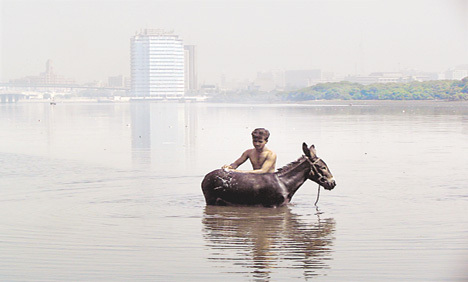 August – September: Sindh submerges under water for second time! Rapid change in the climate of Pakistan was blamed for series of disaster in the Sindh province. 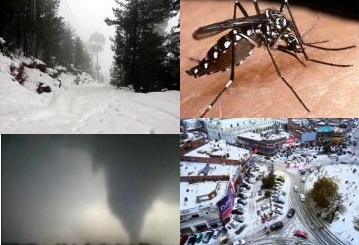 PWP on March 7, 2011 made an article that was 2010-The most bizarre weather year in which we “hoped” that no disasters would hit the country in 2011 but the year 2011 proved to be a very memorable years for the country interms of weather. Let us again hope that 2012 brings happiness and joy to our crisis-hit country and no disaster eye our country in 2012! very interesting analysis. Well, its the weather, and we do get the ups and downs..but, with the modern day technology of quick sharing, we get information of each others weather almost on the spot . I wish PWP all the best for the NEw Year, and hope it prospers well for our region. Hope the weather favours our economy and well being.